Start moving again with the Pedifix® Visco-Gel® Hammer Toe Crest! 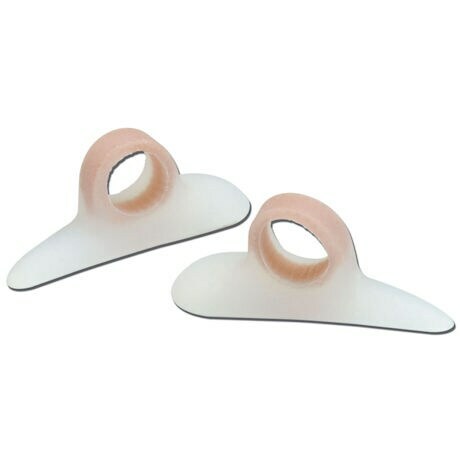 Our Hammer Toe Crest uses visco-elastic polymer technology to relieve toe tip corns and irritations, while supporting bent-under toes. The anatomically correct shape eases metatarsal and forefoot pain to make walking more comfortable. A flexible fixed loop holds the Visco-Gel® Hammer Toe Crest in place for a perfect fit all day long. Sizes: S (Women's 4-7), M (Women's 8-10, Men's 6-8), L (Women's 11+, Men's 9-10). Imported.